In addition to industry-leading Raynor garage doors, Central Utah Door also offers . . . In addition to the full line of industry-leading Raynor Garage Door products, Central Utah Door also offers high tech Marantec Garage Door Openers. 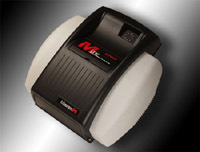 The Marantec series of residential garage door opener systems are German-engineered and American-built by a company that has continually brought innovative access system designs and technology to the market for over 30 years. Marantec systems are designed to perform, built to last and guaranteed to provide years of smooth, quiet, trouble-free operation. The Q-Line and M-Line systems, featuring Digital Intelligence, Modularity, and HomeLink® compatibility coupled with their sleek, contemporary looks and new colors of soft beige and black, meet the demands of what you would expect in a garage door opener system. The protection of your family is of the utmost importance when you are considering the purchase of a new garage door opener system. The Marantec openers provide safety and security features that take the worry out of this major purchase! We also offer the best warranty available in the marketplace, including a lifetime warranty on many of the Marantec products. For more information on Marantec openers, click on the link above to visit the manufacturer's site. 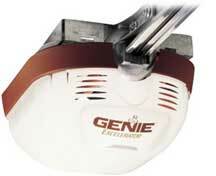 Genie® is the name that you can trust for quality garage door opener systems. Quality, dependability and innovation: these are the hallmarks of Genie products. The Genie Company has been the leader in garage door opener technology since 1958 and they continue to innovate with new technology like Intellicode Access Systems.